The New Tanks Are Up!! 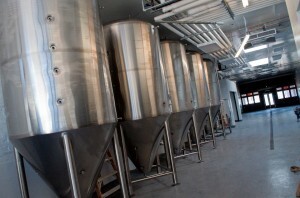 | Tioga-Sequoia Brewery Co.
Blog The New Tanks Are Up!! The New Tanks Are Up!! After having the tanks rest in our future tasting room for a month, we finally got them standing. 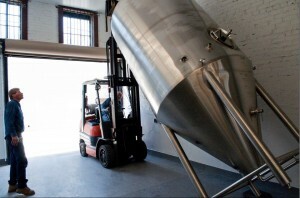 We now have five additional 30bbl fermenters and a new 60bbl bright tank. With this expansion we have more then double our capacity output. Things are going to explode real soon! 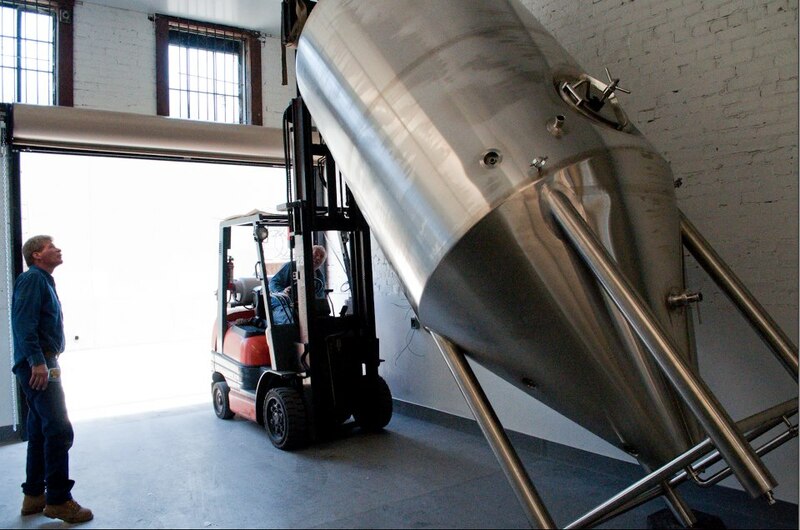 Next up is the new bottling line!